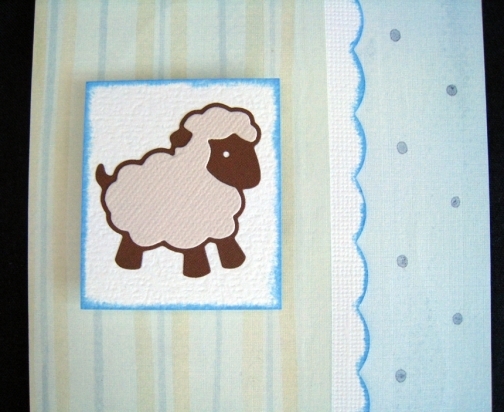 This card features a lamb on blue and greeny-yellow striped paper and blue dot paper. 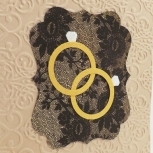 The patterns are separated with a hand-inked scalloped edge. The focal point is raised by foam tape. 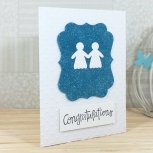 The card is 4.25 inches (11 cm) by 5.5 inches (14 cm) and comes with a plain, blue, peel'n'seal envelope. 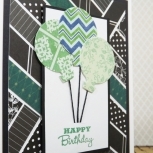 It is built from heavy weight cardstock so your card can be displayed standing up without sagging. By default, the inside is blank white cardstock for your own message.